If the other one is reversed you could take them both off and swap them over. 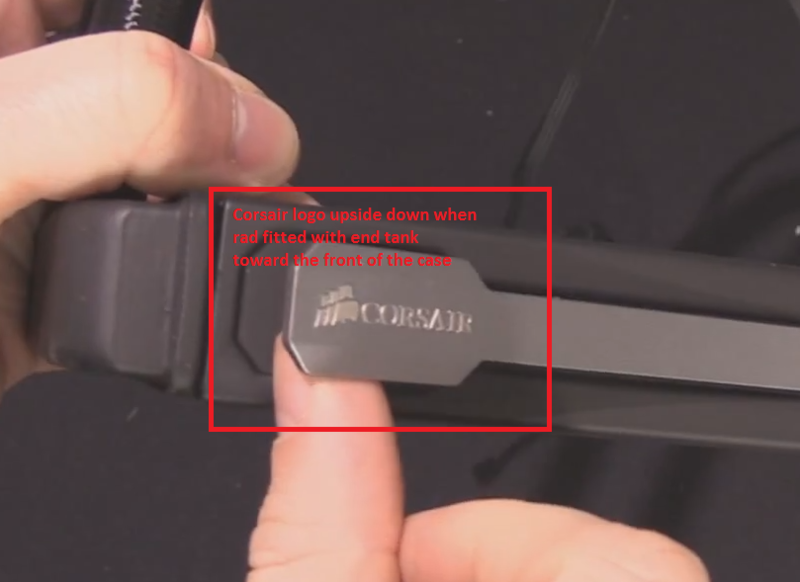 If the other one isn't reversed then someone at Corsair better do a catastrophic facepalm right now. Hmm you might be right on the swapping bit, still though, should have been straight in the first place. Round of applause needed I feel! Kudos for getting through that without giving the 3 coolers new names, I would have given them name tags I could easily refer to. GT, GTX, GTI, GTE, RS, GTR, GTR-I, GTX-I, XR2...... My head was spinning. Still, great review and the balanced performance figures speaks volumes, In all honesty I'd have just liked to have seen the original H100i with those braided hoses, now that would have got my nerd on! How is it possible that the delta T values between coolers (say Corsair H110i GT and Fractal Kelvin s36) is higher at idle and lower at more heat loads?